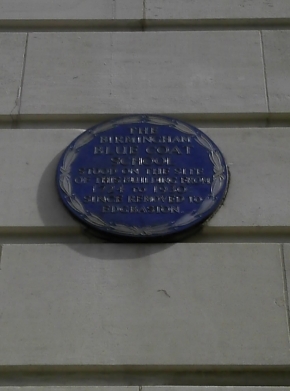 "The Birmingham Blue Coat School stood on the site of this building from 1724 to 1930. Since removed to Edgbaston." The school was founded as a charity school by Reverend William Higgs who was Rector of St Philip's Church, now Birmingham Cathedral. It provided food, clothing and education to 32 boys and 20 girls from poor families, aged between nine and 14. The school was originally located at 5 St Philips Place, marked by the blue plaque on the left, but moved to Edgbaston in 1930 where it still stands as an independent preparatory school. 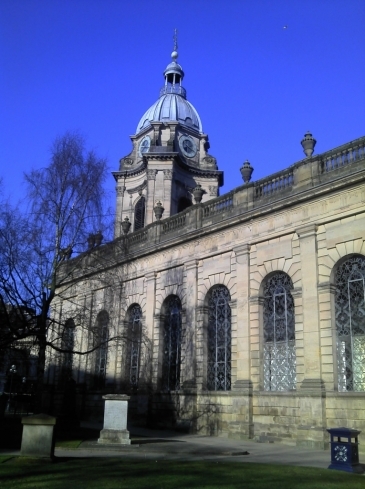 Birmingham Cathedral which is next to the original site of the school.